The Wyverex is the fabled dragon of justice and power. 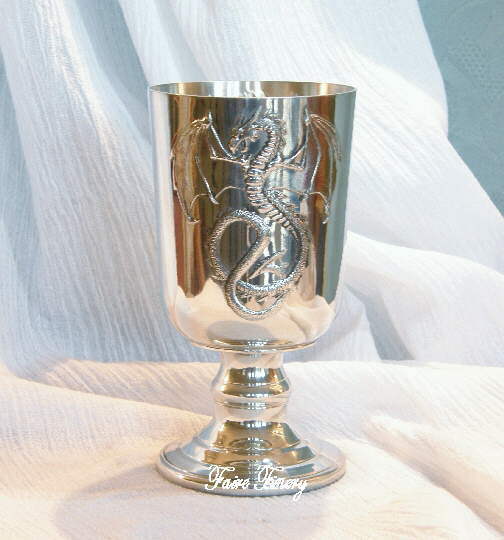 This goblet has a very intricate embossed design of the Wyverex dragon on both sides. Approximately 6″ high. Very detailed and highly polished body and base. Holds approximately 10 oz. Base measures about 2 1/2″ across and the top is about 3″ across. Perfect for Renaissance or Medieval Weddings or just to impress the gang at Faire. Made in England. Crafted by master craftsman who are members of ‘The Worshipful Company of Pewterers’. 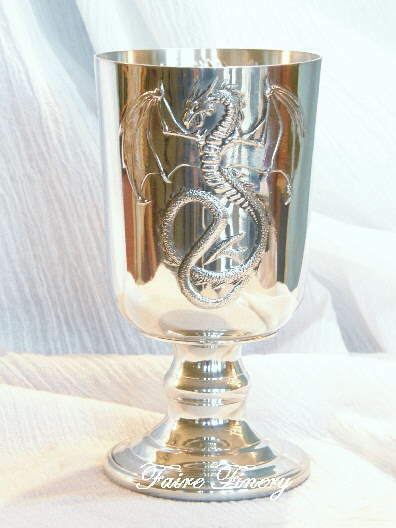 This group was granted a charter in 1474 by King Edward IV for the legal manufacture of pewter throughout England. Many of the ancient pewter-smithing skills are still utilized today in the making of these flasks. 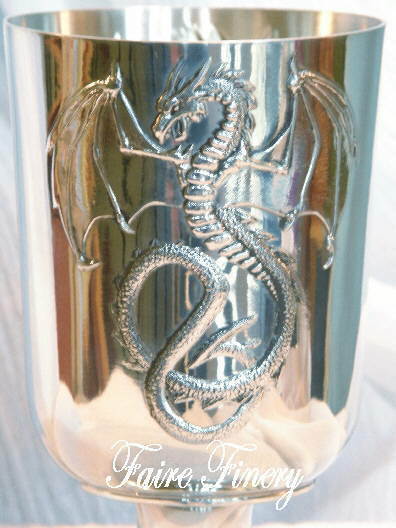 They only manufacture the highest quality fine pewter drinking vessels.